Sometimes Xbox Live games get announced well in advance, and other times they just pop up out of nowhere. I could complain about the reticence of the mobile marketing team, but then we’d be here all day. When the surprise game is some puzzler nobody cares about, it’s no big deal. But I have to admit, the game Microsoft just announced for next week could be something very special. Coming September 12 is Crimson Dragon Side Story from Microsoft Studios. Why you should care about Crimson Dragon Side Story other than the word ‘Dragon’ in the title? Well, Crimson Dragon just happens to be the revival of SEGA’s classic Panzer Dragoon franchise, whose last entry was Panzer Dragoon Orta on the original Xbox way back in 2003. The series is beloved for its unique dragon designs, fantasy setting, and surrealistic atmosphere. SEGA has inexplicably chosen not to release any more Panzer Dragoon games, and thus it’s fallen on several key members of the series staff to strike out on their own as an indie developer. Their first game, Crimson Dragon, is part of the Panzer Dragoon series in all but name. Like most of its predecessors, Crimson Dragon on Xbox Live Arcade is a rail-shooter. 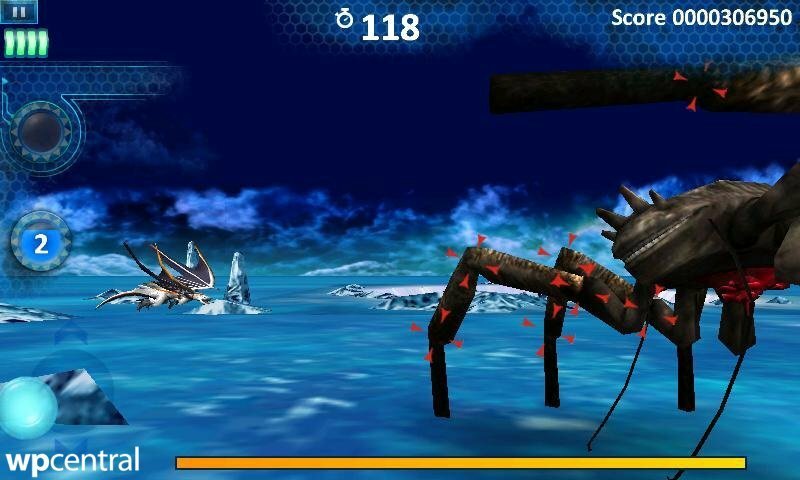 That means the player’s dragon flies forward automatically through each level, allowing the player to fully concentrate on aiming and dodging enemy fire. Along the way the dragon and its rider (or riders, as the XBLA game supports online co-op) will pass over, under, and through some amazingly strange and beautiful scenery, defeating bizarre and gigantic boss monsters at every turn. Crimson Dragon Side Story stars a dragonrider named Sana and she investigates a mysterious disease. On top of Story mode, the game also includes an extensive Mission Mode. The latter features challenging missions and boss battles which should greatly enhance the game’s replay value. Side Story features 3D graphics like its big brother but switches the perspective to 2D, making it a side-scrolling shmup. The series’ famous lock-on shot is still present though, so Side Story should retain much of Crimson Dragon’s feel. 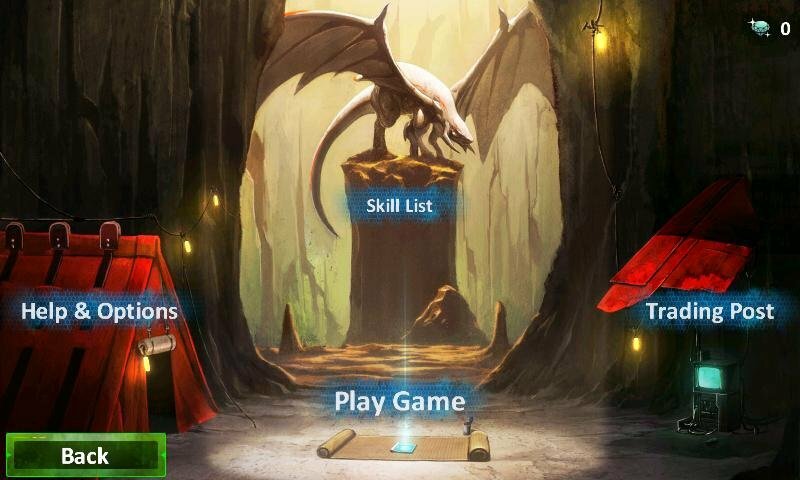 Throughout the game players will unlock an amazing 170 unique Skills to equip. These skills cost Jewels to unlock. Players can earn Jewels in-game or purchase them as PDLC. More interestingly, jewels can also be unlocked by traveling with your phone - not unlike Kinectimals and some of the Game Room Achievements. Surprisingly, Microsoft makes no mention of connectivity between XBLA and Windows Phone games. That said, the main menu shows a Trading Post option that could involve the Xbox 360 game in some way. At any rate, the mobile Xbox Live lineup needs all the non-casual games it can get, so Crimson Dragon Side Story should stand (or is that fly?) nicely on its own. We don’t know the price yet, but it’s coming next Wednesday, September 12. Visit PlayXBLA for more screenshots. Update: According to this tweet from a member of the Japanese Crimson Dragon staff, Side Story will cost 90 yen/99 cents. Nice! Thanks to Zebrasqual for the original tip. Thanks to Sacra for the pricing tip!